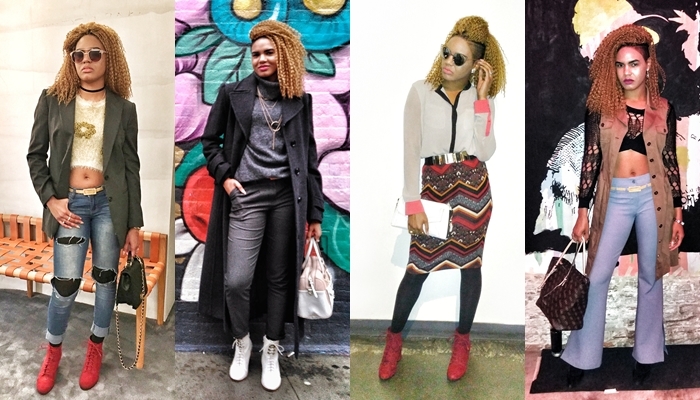 Here’s another addition of the NYFW Wardrobe Series starring wintry outfits. Although some of you may have already seen these looks on my Instagram feed, some of you may have not. New York Fashion Week was hectic, as usual but I am going to be honest, it was too long and I was beginning to get restless. Only because it had an extension from Men’s Fashion Week, so it felt extra long. Nonetheless, I wouldn’t trade it for the world because it’s a part of what I do. Long story short, this just a recap of what I wore and I just wanted to hear from you guys what was your favorite look of my attires. Your voice matters to me so use it! Which was your favorite outfit? Comment below! Thanks for reading. Happy Styling!